Developers have used payment plans as a key tool to reinvigorate the real estate market since 2014, changing from mostly front-loaded to back-ended payment plans. In 2013, more than 80 per cent of launches had payment terms that were front-ended, whereas in 2016, more than 55 per cent of launches had back-ended and post-handover payment plans, reveals a recent report by GCP-Reidin. “During the earlier cycle, I don’t believe there was much initiative or a need for such incentives, with projects launching and selling on the same day or week. As demand became less and more supply emerging, most developers took the route of post-handover payment plans. This was simple but effective to stimulate a slowing market and it worked,” says Lewis Allsopp, CEO of Allsopp & Allsopp, a Dubai-based real estate agency. “In the previous cycle, prospects of capital gains were much higher. Hence, incentives were limited to schemes such as offering cars and similar incentives,” recalls Hussain Alladin, head of research, GCP Properties. In around 2012-13, developers launched payment plans linked to construction milestones. “However, the plan typically ended as full balance payment on handover. Even when post-handover payment plans were launched later, they typically averaged at one to two years,” observes Ranjeet Chavan, CEO of SPF Realty. Supply priced above the Dh1,200 per square foot level has not experienced the extent of developer incentives, as has been the case with lower psf rates. This implies that back-ended payment plans have predominantly been in the domain of the mid-market segment, and where they have been offered in the luxury space, it has been in the larger ticket size items such as villas. 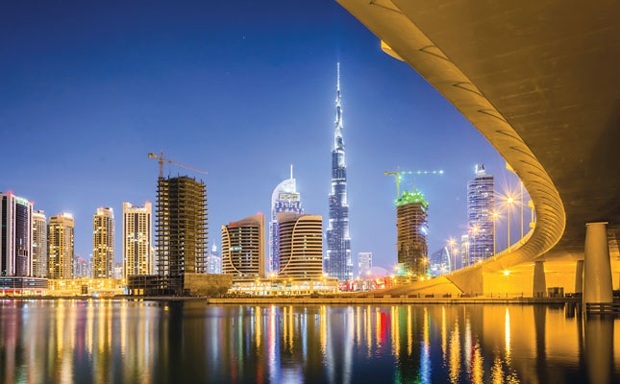 The bulk of the supply below Dh1,200 psf has been launched with flexible payment plans (68 per cent of units have greater than a 50 per cent installment on handover), whereas in the above Dh1,200 psf supply, it is nearly half, adds the GCP-Reidin report. “End-users who buy luxury real estate tend not to get swayed by different incentives. They would much rather prefer a discount on the transaction and offer to pay the property in full rather than opt for a payment plan. There are some back-ended payment plans offered for mid-tier projects that will deliver by 2019 or 2020. Ultra high-net-worth individuals choose to invest in these projects as it gives them flexibility and spreads the risk on their property portfolios,” explains Brigitte Tenbergen, luxury sales specialist at LuxHabitat. In addition to generous payment plans, other incentives being offered are a 50 per cent to 100 per cent waiver on Dubai Land Department fees, free upgrades, etc. “Developers have recently started to offer to pay 50 per cent of the property registration fee. Guaranteed rentals are another option, with some developers offering three years guaranteed rent. I think the biggest incentive a developer can offer at the moment is linking the payment plan to a mortgage, so paying a maximum of 25 per cent down and 75 per cent on completion. This would attract a large segment of the market who are end-users,” suggests Allsopp. Ever since back-ended payment plans entered the market in early 2014 through private developers, they have proliferated throughout the ecosystem to the point where even government-sponsored developers are increasingly offering post-handover payment plans. Government sector developers were offering virtually no back-ended payment plans at the start of the cycle. This trend has reversed mirroring that of the private developers. “Fifty five per cent of units launched by private developers have used back-ended payment plans, whereas in government-sponsored developers, the majority is still front-loaded. There has been a shift from developers in both sectors towards back-ended payment plans from 2013 in an attempt to reinvigorate demand,” adds Alladin. Back-ended payment plans are not only used by end-users, but by investors as well. “Payment plans is a form of developer leverage that can be used by investors to increase their return on investment. With prolonged payment plans, the investor can book a unit with smaller deposits, allowing him to resell at a later point without using large amounts of capital, allowing them to achieve super-normal profits,” points out Alladin. “The payment schemes also help investors in a big way, giving an investor the flexibility to make payments in a relaxed manner and enhance rental yields. The construction-linked plans offer credibility and trust among buyers and post-handover schemes allow investors to start earning rental yields before full payment. It also attracts a large end-user market where there are buyers who prefer to pay part of the purchase price after getting possession of the property,” concludes SPF’s Chavan.